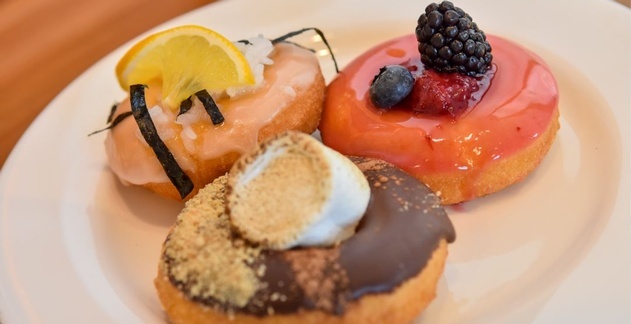 Sandals Royal Barbados, the newest resort in Sandals® Resort’s all-inclusive portfolio, has officially opened the brand’s first-ever donut shop, delectably named Sweet n’ Salty’s Gourmet Donuts & Coffee. Not only is this Sandals’ first artisanal donut shop, but it’s the Caribbean’s first and only all-inclusive resort to feature an exclusive donut-only eatery. Urging guests to Donut Worry & Be Happy, Sweet n’ Salty’s Gourmet Donuts & Coffee offers an assortment of confectionary decadence ranging from gourmet traditional cake donuts to unique flavor combinations with plenty sweet, savory and a pinch of salty. Sweet and salty tooth’s can indulge in menu items such as: S’mores – a chocolate cake donut with melted marshmallow and graham cracker crumbs; Berrylicious – a cake donut with strawberry icing, berry compote and custard; and Yuzu Kazi – which combines yuzu icing, sushi rice and shredded nori. For a local treat, the Coco Loco donut infuses Caribbean flavors of coconut, jerk and pineapple compote into a cake donut delicacy. Accompanying the tasty treats are gourmet lattes, cappuccinos and international specialty blends. 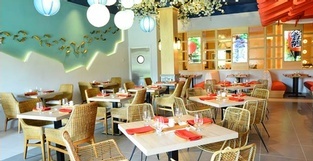 5-Start Global Gourmet Dining is at the forefront of the brand’s luxury inclusions, and Sandals continues to expand its dining experience to provide more high-quality options for guests to choose from. 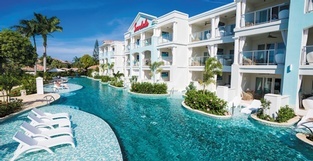 To learn more about the Luxury Included® all-new Sandals Royal Barbados, please visit www.sandals.com/royal-barbados.